Expert in social enterprise development in Africa. Former management consultant specializing in change management and finance in the US and China. I serve as a mentor for the Unreasonable Institute East Africa program in Uganda, and I get a lot of questions from entrepreneurs about the challenges of recruiting rural sales or services staff in East Africa. It is a tough problem. I do not have any real answers. I can at least share some of the things I tried when I was CEO at Juhudi Kilimo. My company operated 20 rural branch offices and employed 175 employees to provide financial services to some extremely remote communities across Kenya. I spent years traveling to these offices and trying to find the best ways to operate a low-cost service business. We found a niche in Nairobi with young professionals and graduates who grew up in rural Kenya’s “up country” and then moved to the city to complete a university degree. These candidates demonstrated their interest in relocating closer to their family in smaller towns across the country. The cost-of-living advantages alone are substantial. However, we learned not to send a loan officer to work directly with a home community. It helped our business if our employee could speak the local dialect, but letting a loan officer provide loans to his or her own extended family members was never a good idea for obvious reasons. One of the challenges of sending young, ambitious professionals to work in smaller towns is the lack of part-time opportunities for higher education. Some of the larger towns in Kenya had satellite campuses that were tied to the national universities and offered night or weekend courses. For the more remote villages, the only options were distance learning programs or online courses. Organizations like the African Management Initiative can provide fantastic remote learning platforms. We encouraged our employees by providing extremely popular staff loans for education. Recruiting rural managers is much more difficult than finding entry-level staff. We spent a lot of time (and money) grooming our junior staff to become managers, but this took a minimum of two years to complete. The faster option is to poach managers from competitor microfinance organizations or rural banks. Unfortunately, these employees tended to carry a lot of bad company culture baggage or a sense of entitlement with them. I served on the steering committee of the TechnoServe STRYDE Program, which develops young professionals all over Kenya, Rwanda, Tanzania, and Uganda. We hired many loan officers through this fantastic program. We also established recruitment relationships with Strathmore University and the University of Nairobi, but some of our best recruits came through sites such as BrighterMonday. We did not have much success with any of the professional recruitment firms in Nairobi. I used Manpower to help with the initial screening of applicants sourced through websites or newspapers. This saved days of reviewing resumes. This rural recruitment problem does get easier. Most of our new hires came from referrals from our existing staff after we had built up a reputation and a larger rural operation. Want to talk to Nat? Schedule a consultation. Sign up on our website to learn more about OnFrontiers and explore our network of experts. Check out a related OnFrontiers blog: 5 Tips for Building and Motivating Your Team. 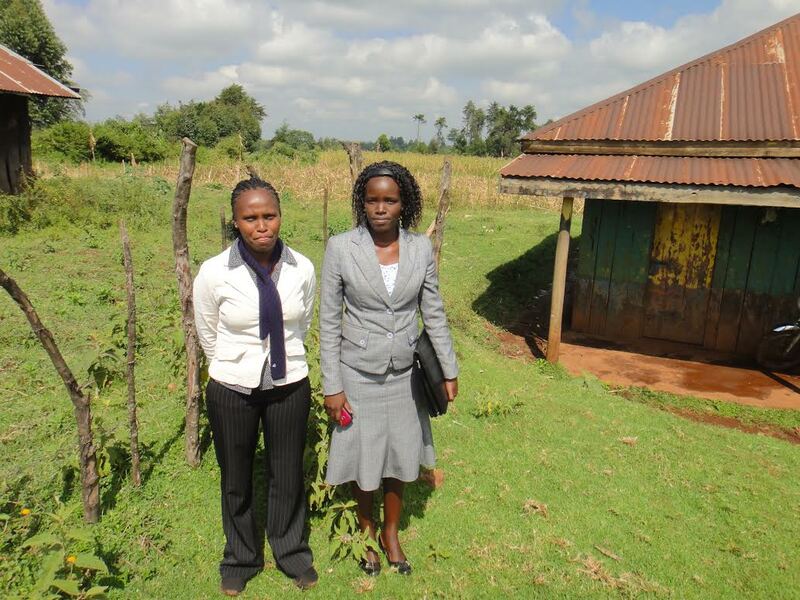 Featured image of loan officers in Kenya was taken by Nat Robinson.